Please find below a range of exciting downloadable resources to support you in your care of older people. These downloadable resources are available free to member organisations. Please login or apply now to join. 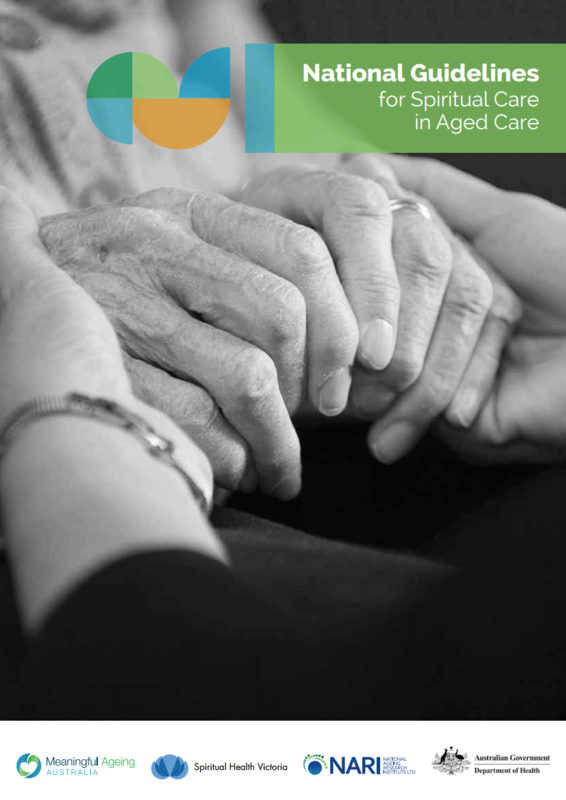 These documents were created to support your organisation in meeting the Aged Care Quality Standards. You are free to download, use and share these documents internally as needed. 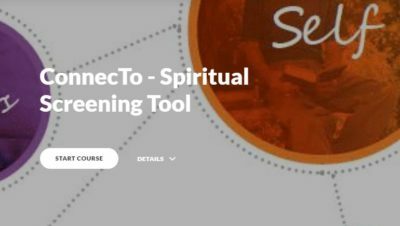 These documents were created as part of the ConnecTo Spiritual Screening Tool project, to support you in implementing the training program. You are free to download, use and share these documents as needed. Meaningful Ageing Australia offers a support and education service to members who would like assistance with implementation. Contact our office for more information. 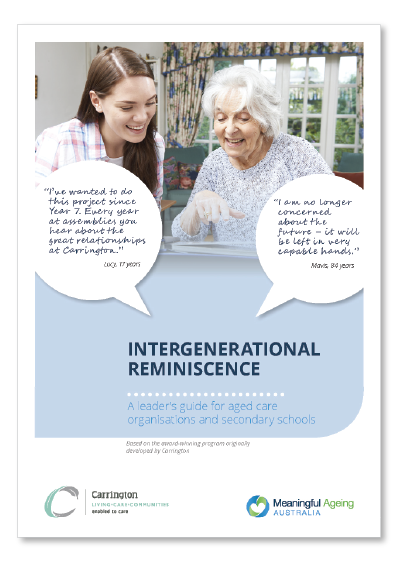 These documents were created to support you in implementing an Intergenerational Reminiscence program in your organisation. You are free to download, edit, use and share these documents as needed. Meaningful Ageing Australia offers a support and education service to members who would like assistance with implementation. Contact our office for more information. 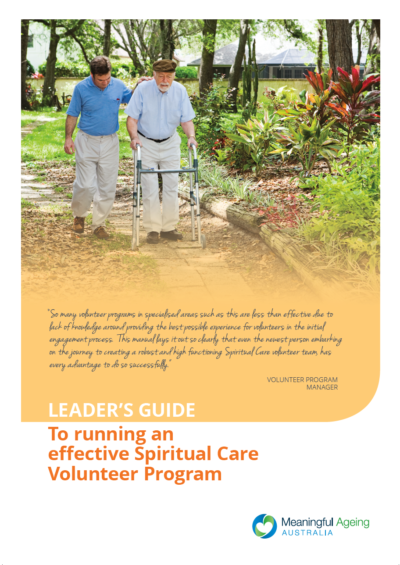 These documents were created to support the Leader’s Guide to Running an Effective Spiritual Care Volunteer Program. You are free to download, use and share these documents as needed. Meaningful Ageing Australia offers a support and education service to members who would like assistance with implementation. Contact our office for more information. Exclusively available for our members. Read more about membership here. Please note these e-modules should be offered in complement to face-to-face training components. Please also note the files may take some time to download. These posters were created to support your organisation in offering spiritual care. 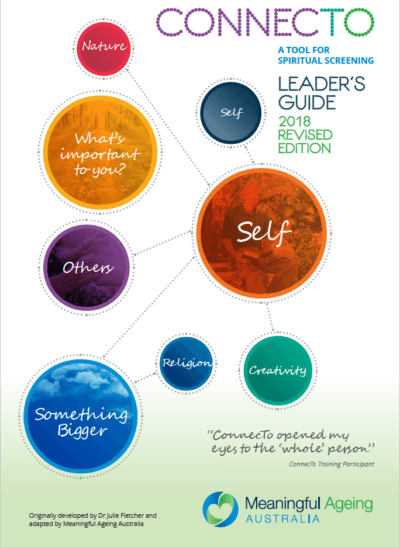 You are free to download, use and share them internally as needed. 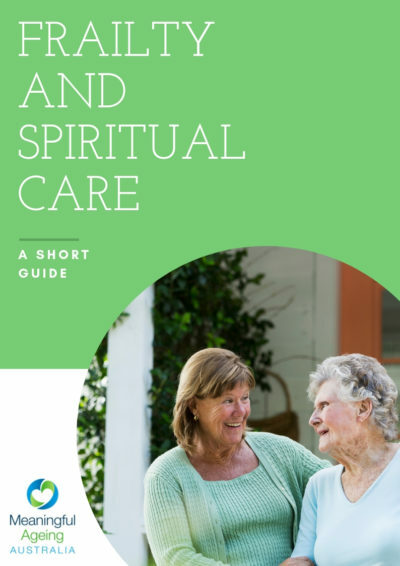 Many people in aged care are not aware of how broad and far-reaching spirituality is in our lives. 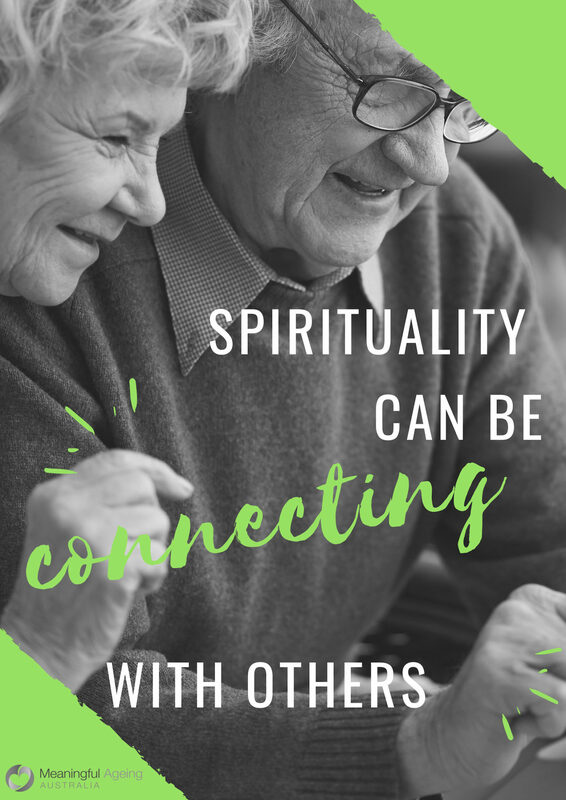 This is one in a series of five posters to help staff think about some of the key elements of each person’s spirituality. 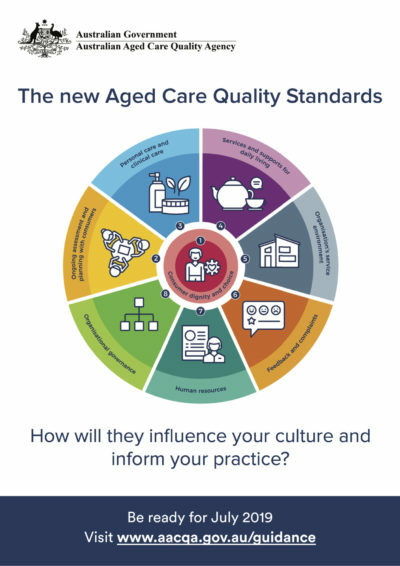 The new Aged Care Quality Standards expects the workforce to be supported to understand each person, including their spiritual needs. Use these posters in concert with our other materials to inspire and promote holistic care in your organisation.